Tony Blair has reportedly agreed to advise Egyptian President Abdel Fattah el-Sisi as part of a United Arab Emirates-funded program that promises lucrative “business opportunities” to those involved. The former British prime minister is set to give Sisi advice on economic reform in tandem with a UAE-financed task force in Cairo, the Guardian reported Wednesday. According to the daily, the task force is being run by the management consultancy Strategy&, formerly Booz and Co, now part of PriceWaterhouseCoopers. The group hopes to attract foreign direct investment to Egypt’s crisis-racked economy at an upcoming Egypt donors' conference, which is being sponsored by oil-rich UAE, Kuwait and Saudi Arabia. Blair, who has worked since he left the British government in 2007 as a Middle East envoy, supported the coup against Egypt’s democratically elected president Mohamed Morsi last July and continues to generate controversy with his complicated dealings in the region. Last month, for example, Blair advocated a new Western-led military intervention in Iraq to fight against the jihadist ISIS group. A spokeswoman for Blair told the Guardian that his attempts to garner support for Egypt from the international community was not being done "for any personal gain whatsoever." "He is giving advice, he will have meetings, that's all," she said, stressing that neither Blair nor any organizations associated with him would make money out of Egypt. She added that he believe the Sisi government “should be supported in its reform agenda and he will help in any way he can, but not as part of a team." When pressed on the lucrative “business opportunities” the Egypt project and its Gulf backers promised, she said: "We are not looking at any business opportunities in Egypt." A former close political associate, however, told the Guardian that Blair’s role in advising the Egyptian regime would cause "terrible damage to him, the rest of us and New Labour's legacy." 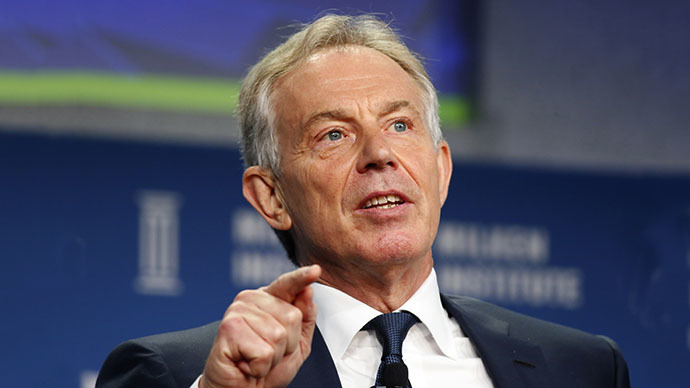 The associate said that Blair was able to kill two birds with one stone in Egypt, battling the threat of Islamism while sinking his teeth into “mouth-watering business opportunities” in return for Bush-era advocacy. 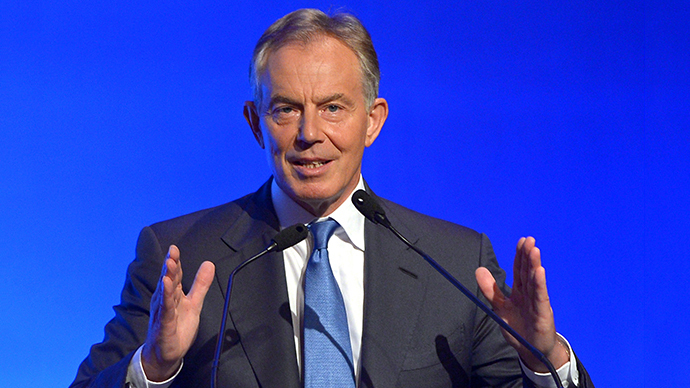 He added that it would be a very lucrative business model, but one Blair should not be involving himself with. “He’s putting himself in hock to a regime that imprisons journalists. He's digging a deeper and deeper hole for himself and everyone associated with him." Alastair Campbell, Blair's former press secretary who resigned in 2003 over the Iraq Dossier scandal, is also a paid adviser consulting the Sisi government on its public image. When asked by the Guardian on Wednesday if he had been working with Strategy&, Campbell refused to say who he had been working with. Like Blair, Campbell also visited Cairo earlier this year as part of the Gulf-funded program to prop up the regime. Another former Blair employee, Darren Murphy, a so-called special adviser in the Blair government who has traded off the former PM’s name for years, has also been working on the program. In June, Sisi, Egypt’s former army chief, won 96.9 percent of the votes in a presidential poll that had all the hallmarks of a dictatorial election. Saudi Arabia's King Abdullah bin Abdulaziz was the first international leader to congratulate Sisi on his election victory. King Abdullah hailed Sisi's ’win as a “historic day” for Egypt, calling for a donors conference to help Egypt through its economic troubles. “To the brothers and friends of Egypt... I invite all to a donors conference... to help it overcome its economic crisis,” he said. 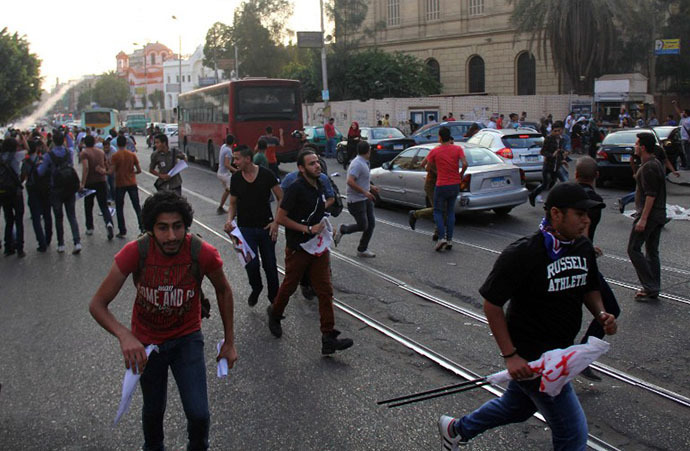 Since the Morsi government was toppled, hundreds of alleged supporters of the ex-president and his Muslim Brotherhood movement have been sentenced to death. 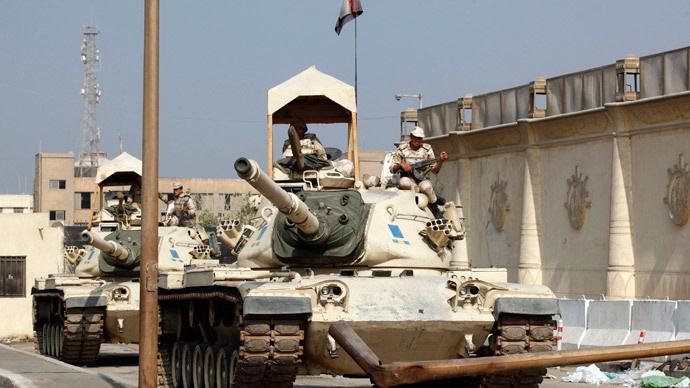 The persecution of political opponents and crackdown on journalists has pushed US congressional leaders to consider withholding $1.3 billion in military support to Cairo. Since stepping down as prime minister in 2007, Blair and consulting companies he has been associated with have worked with a variety of repressive and dictatorial regimes across the world. Blair’s Middle East interests appear to be expanding, with aides confirming last month he was considering opening an office in the UAE capital, Abu Dhabi. His work in Egypt could be viewed as even more contentious, due to the bloody nature of the coup and his work as a mediator in the region. 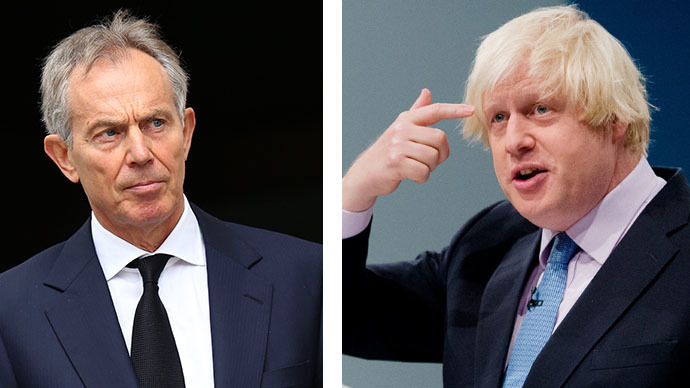 In June, retired diplomats and political enemies came together to demand that Blair be fired as the envoy to the Quartet on the Middle East – the UN, US, Russia and EU – after failing to bring Israel and Palestine closer to a peace deal.